Legacy’s Frost Eye Clinic offers a complete range of high-quality, highly professional services and products designed to help everyone in the community look at their world in a better, clearer way. Our doctors focus not only on improving and protecting your sight, but also on enhancing and enriching your well-being. By connecting our communities to health every day, in every way, we can ensure that you see and enjoy every beautiful, memorable moment of your life. The clinic originated in 1995 when Monte Frost made a significant donation to the Montrose Clinic to start a CMV screening clinic. 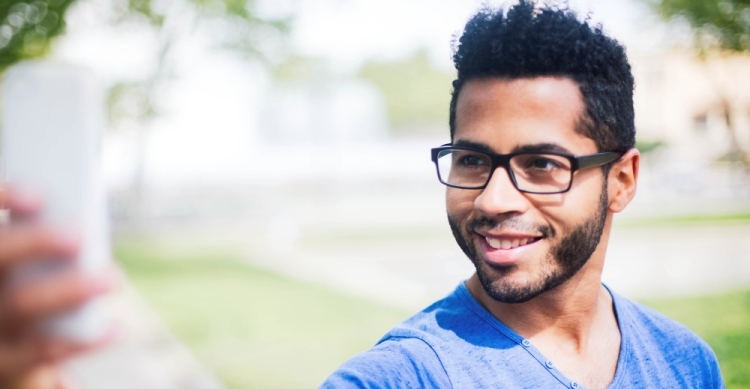 CMV retinitis had become the most common cause of blindness in the HIV community, and people who were infected with HIV – and did not have insurance – had no place to go for diagnosis and screening for CMV retinitis. This was the first HIV-specific eye clinic in Houston. We accept most insurance plans, too, and our doctors and staff have experience working with diverse segments of the community as well. Legacy provides vision services in the same way we provide all of our health services: With care, compassion, and commitment, and an unwavering devotion to respecting and accepting everyone who comes through our doors. Our Vision Services are just part of Legacy’s commitment to bring comprehensive wrap-around services to all of our neighbors and to open our doors, our arms, and our hearts to everyone in the community. It’s American Heart Month, a time set aside to focus on preventing heart disease — the leading cause of death in adults. And here’s the good news: You don’t have to be a statistic. Here’s what our Director of Family Practice, Dr. Patricia Hayes, recommends for preventing heart problems.